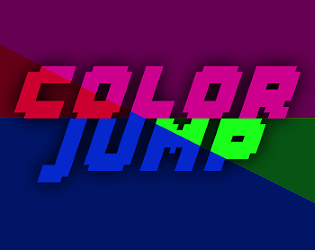 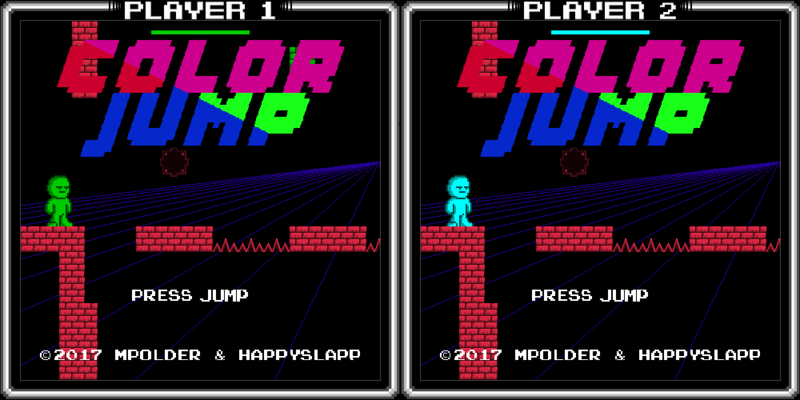 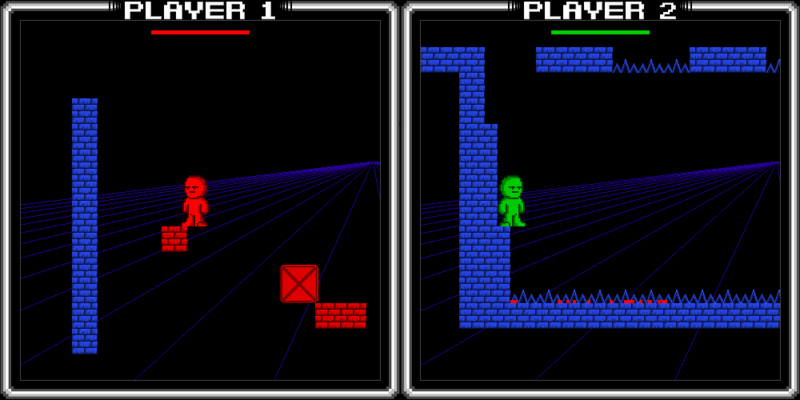 The jump buttons are bound to change the color of both player's level which is used as a gameplay element to make differently colored objects invisible. 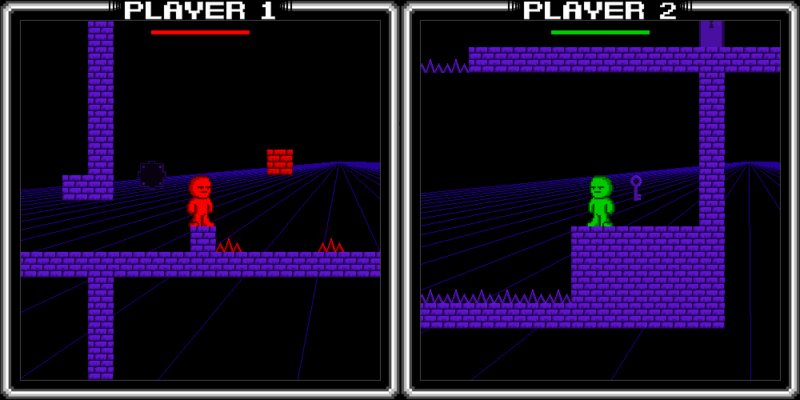 You can also use an ability that will mess with the other player's colors of the objects and will add a tactical purpose to the colors. 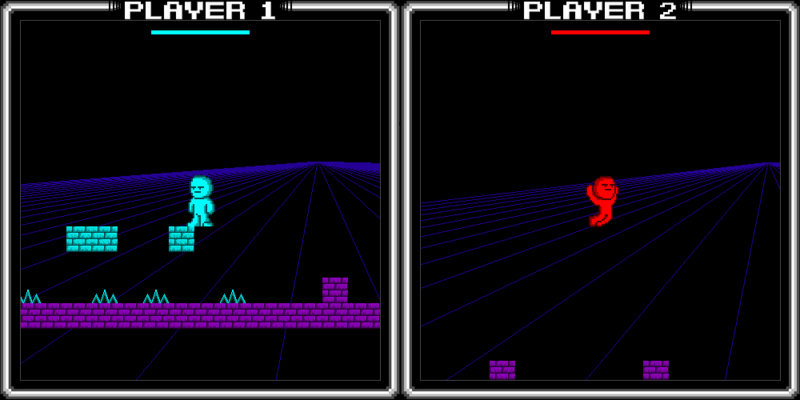 The beginning is a little too much difficult compared to the rest of the game but the aesthetics is excellent.